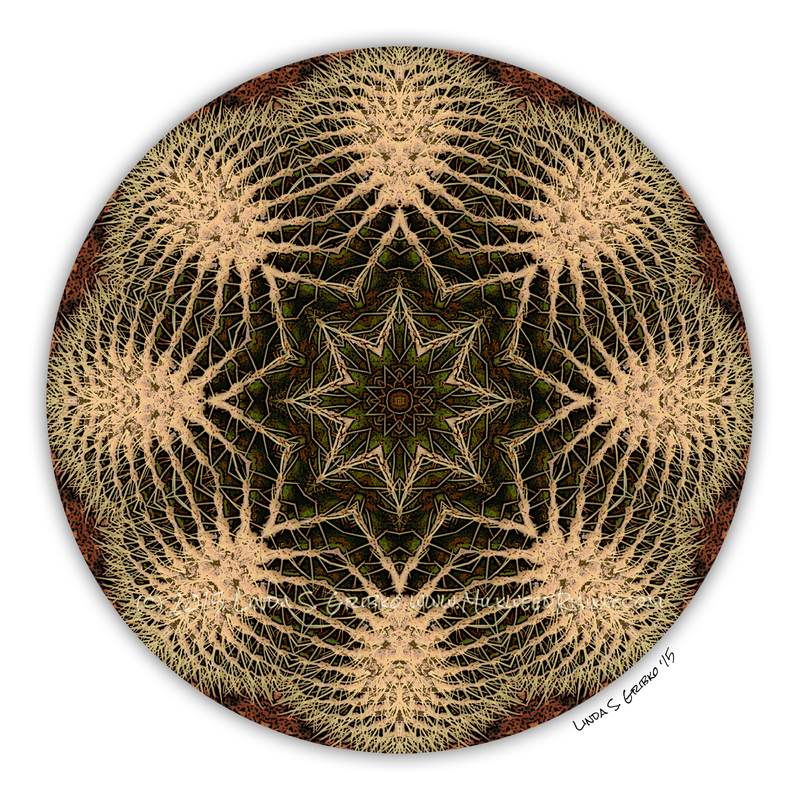 I created this unique piece from a photo of a HUGE barrel cactus that grows in the Desert Room at Phipps Conservatory in Pittsburgh, Pennsylvania. The strong, intersecting lines in this piece make it a great meditation piece, especially when your intention is to channel feelings of interconnectedness and stability. 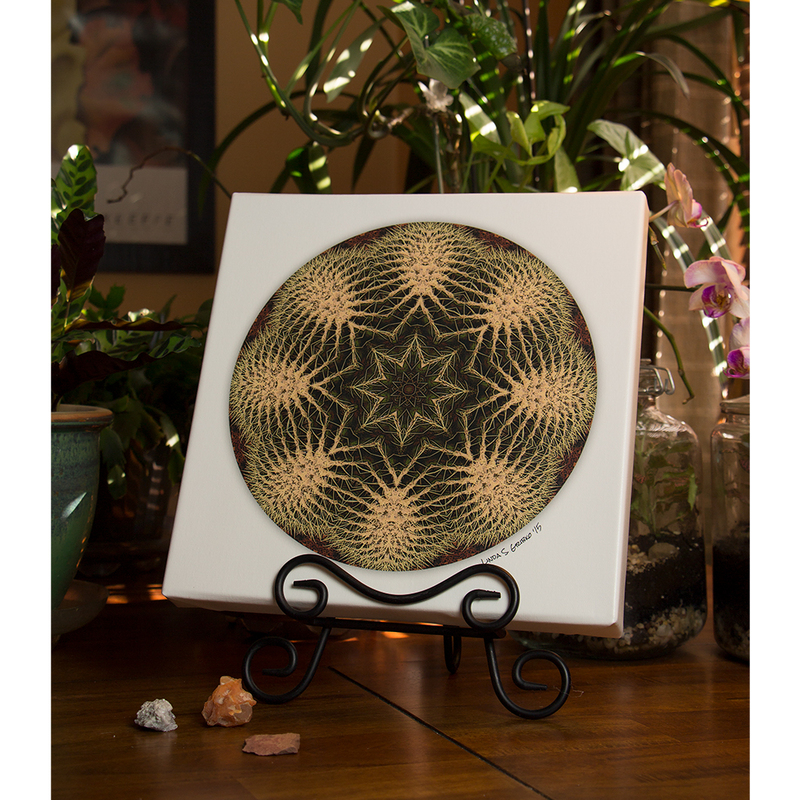 As a decorative piece, Desert Star, would fit well in any sunny space. Enjoy this piece as a high-quality giclee print on museum wrapped, coated canvas. The finished size is 12″ x 12″, perfect for filling a room with a pop of color. The canvas can be hung as is for a casual look or framed in any way that suits you. A copy of the original photo and artist statement will be included in the package. 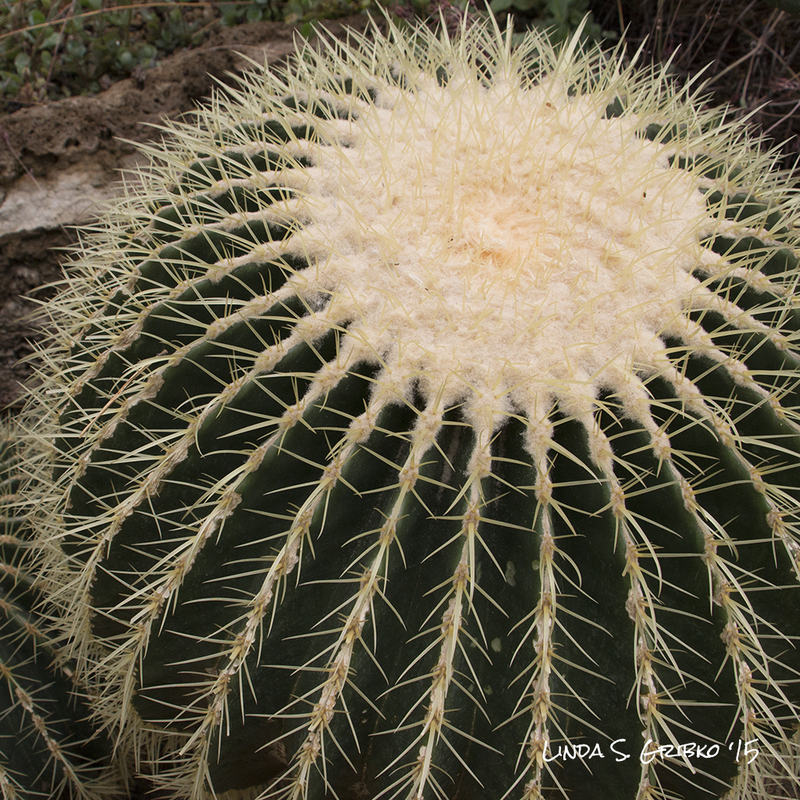 Linda Gribko is an author, artist, and photographer living in Morgantown, West Virginia. 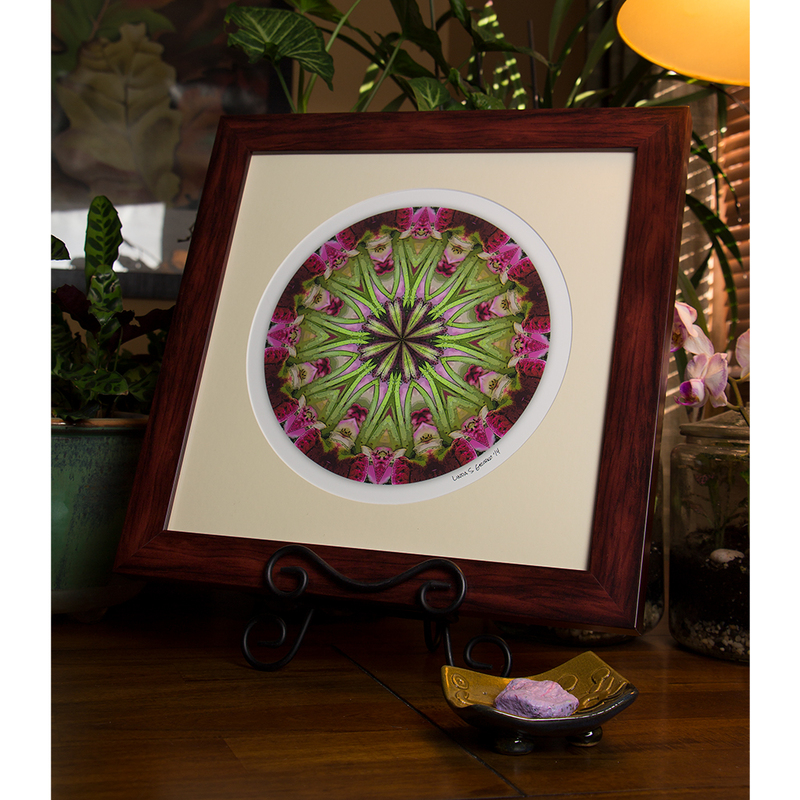 She's known for her wildflower photography and the mandalas that she creates from her nature photos. Her quirky first novel, "Giving Voice to Dawn", was published in November 2016. It's the magical romp of a woman plucked by the Universe from the cubicles of Corporate America and dropped into the crease between "this world and that" where Spirit Animals carry messages, disembodied voices spout wisdom, and you never know who might show up to walk you back home. Ready to live your life of purpose? Get your free copy of my workbook, "How to Uncover Your Donkey: A Workbook to Help You Excavate Your Own Unique Life Purpose". Please Check Your Email to Confirm Your Subscription and Download Your Workbook!